A few good riffs and solos can't disguise that the songs themselves lack memorable hooks. Five years since their 'Rock The Universe' album and there's been a change of personnel at the mic stand. Wolf Child's delivery wasn't a perfect fit for their brand of classic American hard rock and metal so they've sought to remedy that with the introduction of Lor Dane. There's no doubt she's got powerful lungs and can reach those high notes, but to these ears she over sings and it becomes caterwauling. Over an album it's very draining, turning what should be a listening pleasure into somewhat of a chore. It's a pity because the band have a solid sound that harks back to Ted Nugent or a slightly less metal DC4. Guitarist Henry Seto has some decent old school riffs and solos and the band jam cohesively when they stretch out on the likes of the nine minute 'Pain' or upfront 'Free Your Soul'. The production is fairly basic, but that doesn't necessarily detract as it adds to the authentic retro vibe of the material. However, a few good riffs and solos can't disguise that the songs themselves lack memorable hooks. In part this is due to the aforementioned singing style of Dane but also the tunes she has to sing are rather one dimensional. The band have a busy summer of touring Canada and Europe ahead of them. 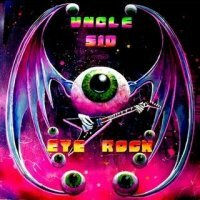 On the strength of this record I hope they can step up their game live or Uncle Sid might be one family member at risk of becoming estranged. What a ghastly cover artwork ... Hope the music is better.